Legalization of marijuana for recreational purposes poses particular health risks for veterans. Though only a fraction of marijuana users are veterans, they are more likely to have conditions treated with medical marijuana, said James MacKillop, co-director of the Michael G. DeGroote Centre for Medicinal Cannabis Research, at the 2018 Canadian Institute for Military and Veteran Health Research forum. More than 7,000 veterans in Canada use medical cannabis and many thousands more use it recreationally. The physical demands of military service cause injuries—more than 40 per cent of those leaving service report chronic pain from such things as back problems, joint problems, arthritis and gastrointestinal conditions. Cannabis has proven effective at reducing such pain in many cases. And serving military are more likely to experience traumatic events, resulting in a host of mental-health conditions ranging from depression and anxiety to post-traumatic stress disorder (PTSD). One study of Canadian veterans seeking treatment for PTSD revealed about half used cannabis, and a quarter of them started using it following a traumatic event. The danger of legalization is that some veterans may treat themselves with recreational cannabis without consulting a doctor and be unaware of risks they may be taking, including risk of interaction with other medications. As well, cannabis may mask symptoms best treated another way or mask developing health conditions. The rational part of the brain is not fully developed until the age of 25—by which time some serving military could be several years into their careers, already physically injured or exposed to traumatic events. Veterans might use both medical and recreational marijuana, risking addiction and adverse effects, not least of which are diminished motor control and cognitive function needed for such things as safe driving. Veterans should acquaint themselves with the benefits and risks before deciding to use cannabis, said MacKillop. But it won’t be an easy task. Because of its long history as an illegal substance, there is a lack of cannabis research. It has come into medical use without the stringent clinical trials usually required before a drug is approved for use. Cannabis has more than 500 constituent ingredients and more than 100 cannabinoids, chemicals that bind to receptors in the human body’s neurotransmitter network, which helps govern appetite, pain sensation, mood and memory, inflammation and many other bodily processes. 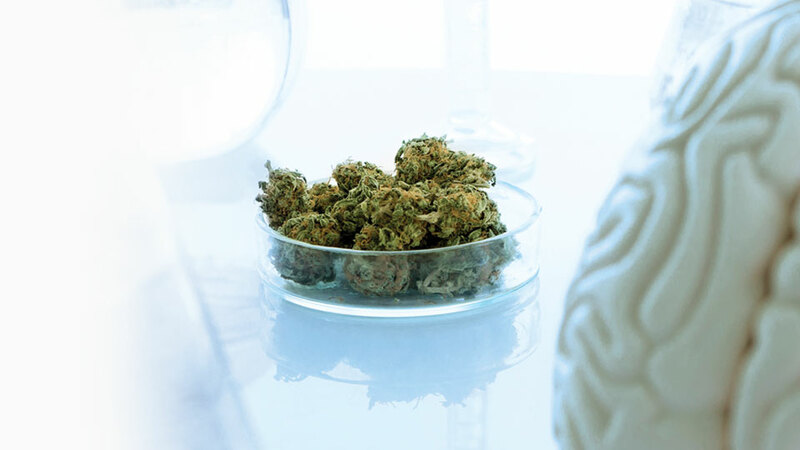 Cannabinoids are psychoactive, meaning they can affect how users feel, think and behave. Just two cannabinoids have been studied in depth. THC (tetrahydrocannabinol), which produces the high associated with smoking pot, has been found to relieve pain and nausea, insomnia and muscle spasticity (and produces paranoia and anxiety in high doses). CBD (cannabidiol), known for its calming effect, offers some of the same benefits—but without the euphoria. Research is a long way from identifying which are the most therapeutically effective cannabinoids or combination of cannabinoids and other ingredients. “We’re really just at the tip of the iceberg in learning about…the active ingredients,” said MacKillop. Research is sparse into effectiveness of cannabis versus placebo or versus other drugs, effective doses for different conditions, safety over long-term use, and which strains or combinations of strains are most medically effective. “Most research has been done on inhaled and ingested cannabis,” he said, but products about to hit the market can be spread on the skin, used as food additives, combined into other products, even used as suppositories. Some will use lab-created versions of active compounds found in the plants. Right now, the Internet is flooded with “research” that is scientifically unsound. 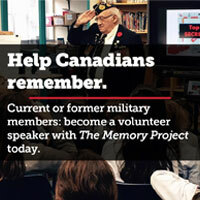 The DeGroote Centre can help veterans sort fact from myth. “We are not pro-cannabis or anti-cannabis. We’re pro-data…and working for an evidence-based understanding of cannabis.” Data collected is available at cannabisresearch.mcmaster.ca. Confounding the issue, MacKillop points out, is that “one person’s side-effects may be someone else’s benefits.” For instance, sleepiness and fatigue that may plague one veteran who just wants pain relief while working, may be a blessing to someone fighting insomnia. Along with benefits come risks, including a seven per cent lifetime risk of addiction—small, said MacKillop, compared to tobacco, cocaine and heroin (46, 24 and 27 per cent, respectively) and slightly above that for alcohol, at six per cent. Recent U.S. research has associated cannabis addiction with lung problems and stroke and risk of self-harm and suicide. It is not known if cannabis triggers suicide; some mental-health conditions themselves have high suicide risk, regardless of treatment. The jury is still out on the benefits of medical marijuana for mental-health conditions, though early signs are promising, said MacKillop. The first clinical trials for cannabis treatment of PTSD have begun, but it will be some time before effective dosages and treatment lengths, side-effects and interactions with other medications are identified and we know where it works and how it works. Canada is poised to be the world leader in cannabis research—research that can only be a benefit to veterans.